Southfield-based Lear Corp., a global Tier-1 supplier of automotive seating and electrical systems, has entered into a licensing agreement with San Diego-based Qualcomm Inc., which will allow Lear to commercialize wireless electric vehicle charging systems for plug-in hybrid and electric vehicle manufacturers, as well as wireless charging infrastructure companies. As part of the agreement, Lear will be granted a royalty-bearing license to develop, make, and supply wireless electric vehicle charging systems based on technology used in the Qualcomm Halo, which is a charging pad that delivers power to electric vehicles without using a cable. 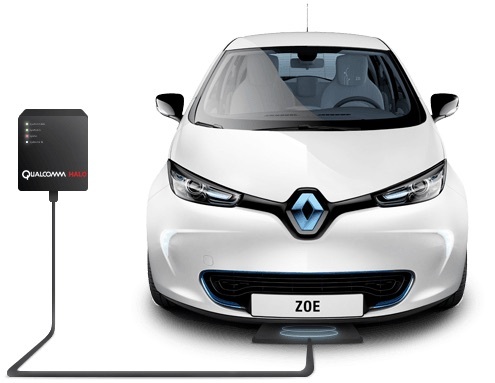 “(Lear) is ideally positioned to develop a broad portfolio of (wireless electric vehicle charging) systems, including multicoil, solenoid, and circular systems that meet customer requirements,” says Steve Pazol, vice president and general manager of wireless charging at Qualcomm Inc. Through the agreement, Qualcomm will provide Lear with technical expertise, engineering support, and a technology transfer package aimed at enhancing its ability to develop technically viable wireless electric vehicle charging systems and to support the future design of improved systems. Qualcomm and Lear will also collaborate on multiple wireless electric vehicle charging systems production programs across multiple car companies. “With our success in (electric vehicle) and hybrid high power systems, and proven program management capabilities, we see wireless charging as a new opportunity to serve our customers in further developing their strategies for (electric vehicles) in existing and new vehicle segments,” says Frank Orsini, senior vice president and president of electric at Lear Corp.
Lear Corp. products are designed, engineered, and manufactured by a team of 136,000 employees located in 36 countries.